To start off there is what I like to call the classic fall trifecta: pansies, mums, and ornamental cabbage. These are the classics that you’ll find in everyone’s landscape in the fall. They also hold up well to the first frosts of the season, with pansies surviving through the winter to start blooming again in early spring. However, there are even more plants to consider. Have you ever heard the expression “it almost looks good enough to eat”? When it comes to Swiss chard, it’s completely true! This garden favorite develops yellow, red, white, or orange stems that look terrific when mixed with early-bird bloomers such as pansy or dianthus. 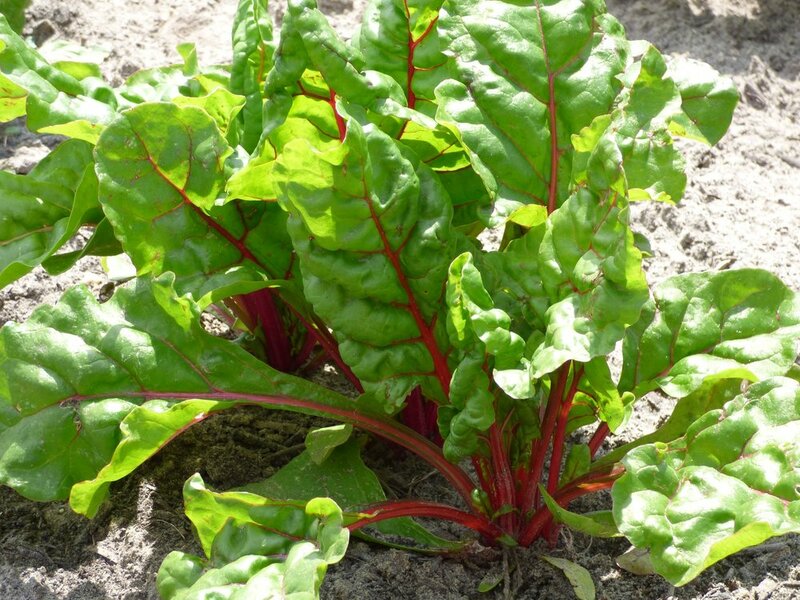 Swiss chard grows around 12 inches tall with delicious leaves you can harvest at any time. Cold fall nights won’t stop annual dianthus (pictured below) from continuing to create a show of color. These plants are tougher than they look, able to keep blooming even after a light frost. Most annual dianthus grow 6 to 10 inches tall and produce pink, white, or red flowers. Use annual dianthus as beautiful borders or in containers for a pop of color. Once summer temperatures heat up, dianthus will often stop blooming. Trim them back by about a third and they’ll recover and bloom again in the fall. Stick to the traditional fall color palette with the flame-like flowers of celosia. The sun-loving annual doesn't always produce plumes though. Other varieties, like cockscomb, develop a crest of curvy flowers. Coneflowers (echinaceas) are a great choice to plant in the fall. Their color varieties match the season perfectly. Better yet, they’re a perennial. You can plant them now so they can establish themselves for even more color next year! Finally, we have the inspiration for this week’s blog post. Earlier this week Carol Morris commented about ornamental peppers on Facebook. They make a great choice to add some pop to fall containers. Recently, I seen them being used as a beautiful centerpiece for a patio table. Sure there’s the classic fall trifecta, but there’s so many more options. These are just a few of the ever growing number of season extenders you can enjoy in the fall. Next week we’ll take a look at some tasks you can do now to get a jump on next spring.